These guys are very good at trapping animals. We had pair of Raccoons living under deck for several weeks. We called Maple Pest Control, they came out, set the traps, and stuffed a tarp into the hole where the Raccoons were entering. 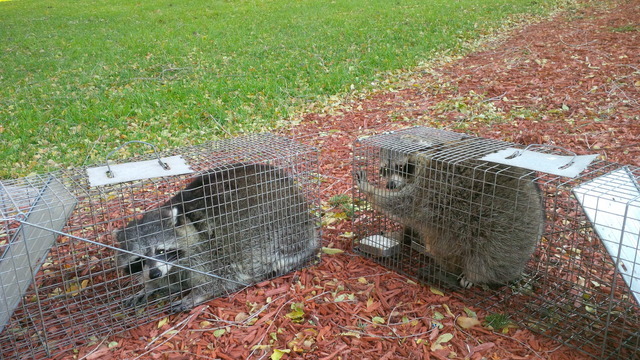 They caught 2 Raccoons in all. The hole was quite large and required some cement work. I was going to do it myself, since I couldn't find any contractors on short notice. Wasim from Maple Pest screen the hole. My family like the service they done for us.